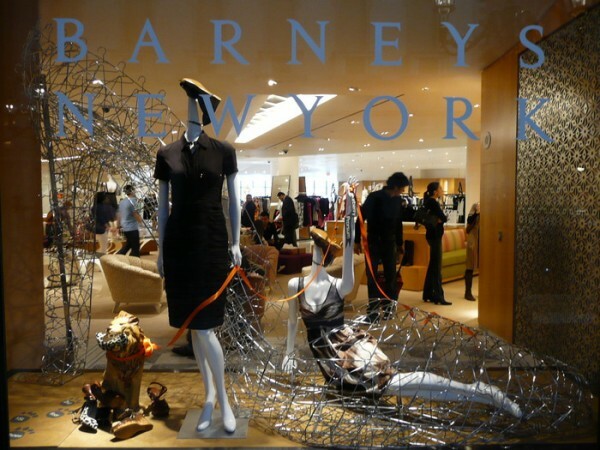 Shopping in New York (Barneys, Saks, Bergdorf) | Elite Club, Ltd. This article was written on 02 Oct 2014. New York has a reputation of a shopping capital. The abundance of boutiques in the city can make you confused. If you do not know where to shop, turn to classics. There are iconic trading centers in New York that attract fashion-minded customers of the whole world. One of them is Barneys that has been known since 1923. Real clothing connoisseurs have always chosen Barneys. The company opened with capital 500 dollars that Barney Pressman received in the pawnshop. He pawned the ring of his wife to lease the space at Seventh Avenue in Manhattan. The brand was actively promoted and advertised. It sponsored the radio programs, gave out freebies. In the seventies Fred Barneys said in the interview that the company will not follow the route of discounts. The company is known for its big price tags, elitist position and clothing not aimed at broad segments of the population. In 1996 was even filed for bankruptcy. The majority of boutique stores were closed then. In 2012, the company was bought by Perry Capital, which decreased the debt of the company. Now the company has several department stores in Japan, and many department stores all over the USA. In spite of financial problems the reputation of the brand as upscale department store is preserved. When you walk around the shop, it seems that there is own boutique on every store of the department store. Here you can shop for clothing, jewelry, accessories, shoes, cosmetics, home furnishings and etc. The flagship store is located in the Upper East Side. Other NYC stores are in SoHo, Chelsea and Upper West Side. Saks Fifth Avenue was founded by Horace Saks and Bernard Gimbel in the beginning of 1900s. They wanted to create an exclusive specialty store that would symbolize fashionable way of life and bought a site on Fifth Avenue. The store offered fashions of finest quality for men and women. The customer service was superb and with time the world became a synonym of elegance and style. This is how Saks Empire started. It thrived even during Great Depression. In the thirties he was able to buy more space (the whole block) at cheaper price. Goodman did not want to have many stores. He wanted to arrange perfect business at one place, where merchandise and service were superb. The founders of the brand became legendary figures of their time. Adam Gimbel was a person with good intuition and looked for the best products all over the world to offer them in the specialty stores. Now the company owns 39 stores in 22 countries. Enter the Saks Fifth Avenue to feel sophistication of the brand with Chanel and Louis Vuitton boutiques. The website Saks.com was launched in 2000 and since then it has been offering a personalized improved shopping experience to all users. It is easy to browse among in-store categories that showcase exclusive items. 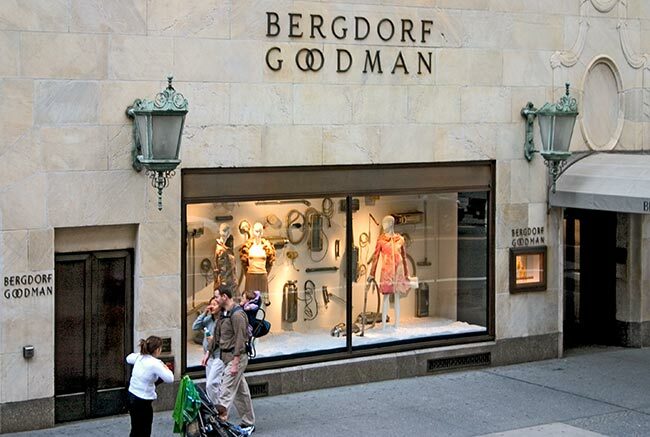 One more luxury department store that deserves to be mentioned in the list of classical luxury brand is Bergdorf Goodman that is known all over the world. The department store is located on the crossroads of Fifth Avenue and 58th Street. Bergdorf Goodman offers unique experience and excellent service. The company became the landmark of New York. 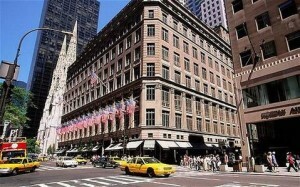 It is one of the oldest luxury department stores – was founded in 1899 by Herman Bergdorf, an immigrant from France. Herman Bergdorf opened the tailor shop first. Edwin Goodman was his apprentice. Later he purchased an interest in the company, which changed the name into Bergman Goodman. The profit was not high because Goodman refused to open subsidiary companies. And the process of building brands locations started only after the company was sold. Chanel, Gucci, Giorgio Armani, Yves Saint Laurent and other famous brands are presented in the store. 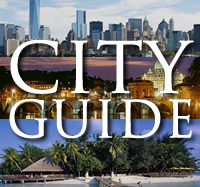 New York is a shopping itinerary but these department stores are not just shopping venues. They are a part of New York history, which have become landmarks of New York.